This Privacy Notice applies to Ethical Legal Services Ltd, trading as and referred to in this notice as Beacon. 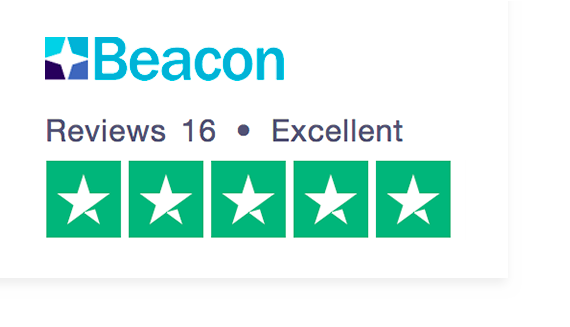 Beacon understands that your privacy is important to you and that you care about how your personal data is used. We respect and value the privacy of all of our clients and will only collect and use personal data in ways that are described here, and in a way that is consistent with our obligations and your rights under the law. Please read this Privacy Notice carefully and ensure that you understand it. By contacting us to request information or advice, to discuss our services, to order products and when you engage in casework or advocacy services with Beacon, you are agreeing to be bound by this policy. Ethical Legal Services Ltd (T/A Beacon), a limited company registered in England under company number 8649926. Ethical Legal Services Ltd is owned by Age UK Oxfordshire, a Limited Company Registered in England under company name 4328143, Registered Charity Number 1091529.
h) Rights relating to automated decision-making and profiling. Part 7 explains more about how we use your personal data, including profiling. Any other organisation or agency which may hold information necessary for us to supply a service to you or for our performance of a contract with you. Subject to applicable laws, we’ll monitor and record your calls, emails, text messages, social media and other communications in relation to your dealings with us. We’ll do this for self-regulatory practices, to protect the security of our communications systems and procedures, for quality control and staff training, and when we need to see a record of what’s been said. Technique Web (Technique Print Group Ltd), which hosts our website. Automattic, Inc., whose WordPress software (and associated add-ons) we use to manage the content of our website. Google LLC which provides a Google Analytics service to measure the performance of our website, and a Google Adwords service, through which you may access our website. Any other organisation or agency necessary for us to supply a service to you or for our performance of a contract with you. We may also share personal data related to the person you are contacting us about or is the subject of an advocacy or casework service you have engaged with us to provide, with the above agencies. You must have their authority to authorise us to share their personal data and where they have capacity to understand, you must also share this data protection statement with them beforehand together with details of what you’ve agreed on their behalf. Any changes will be made available on our website (www.beaconchc.co.uk) or via direct marketing channels, according to your communication preferences.